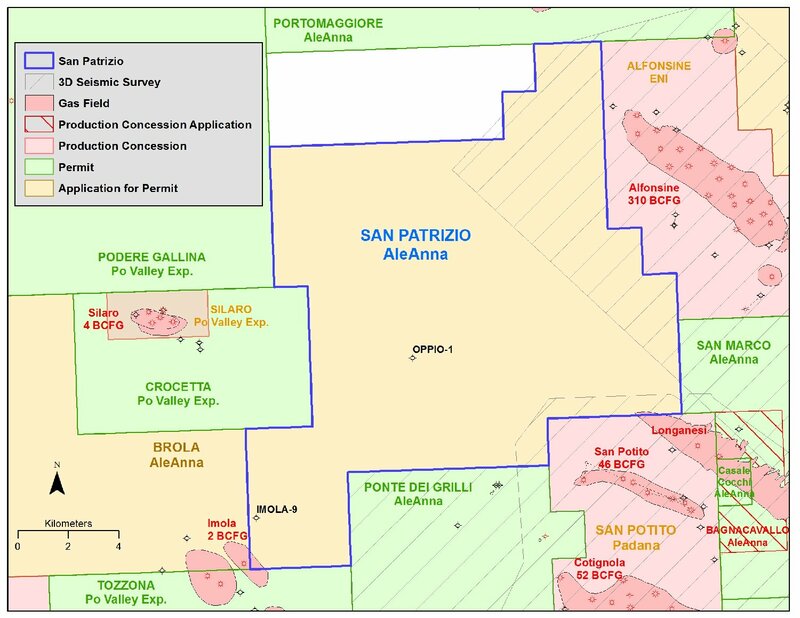 Prior lessors Cygam/Vega and Forest (E/2 of Massa Lombarda permit) identified 3 leads based on 2D seismic. Forest drilled the dry Oppio-1 in 2009. The margins of two 3D seismic surveys overlap onto the application, on the NE and SE sides. 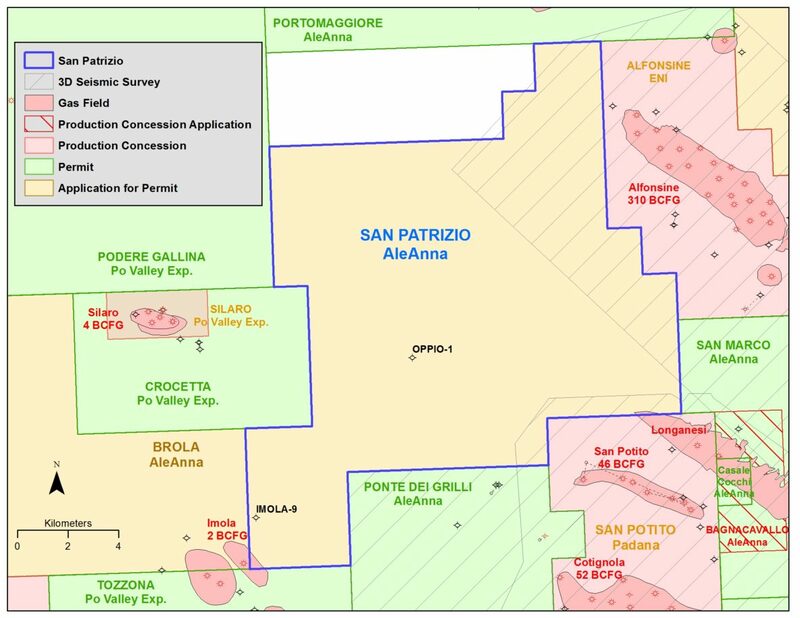 In January 2017 Cygam filed a request to transfer its 100% share of the San Patrizio application to Aleanna Italia. Currently AleAnna is waiting for the preliminary authorization from the Ministry of Economic Development. It is likely that a portion of the Longanesi Field extends onto the SE edge of the application.